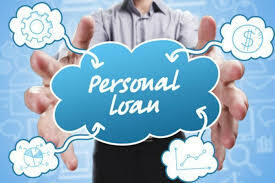 Taking out a personal loan to consolidate or pay off mounting debts is not exactly a new development. However, according to a recent Lending Tree study, it has grown to be the overwhelming reason Americans access personal loans these days. In fact, the study revealed that managing existing debt represented 61% of personal loan requests in 2018. The next closest category was home repairs, at a meager 7.7%. That’s a significant gap. What’s more, consumers seeking a personal loan to pay off debt requested the highest origination amounts: $14,107 on average for credit card refinancing, and $12,670 for debt consolidation. But is this growing penchant for using personal loans to tackle debt the wisest approach? Is it smart to fight debt with more debt? Here’s what the experts had to say. This entry was posted in Tools and Information and tagged consolidate debt, pay off mounting debts, personal loans. Bookmark the permalink.